At halftime, Mike Tomlin was asked about his decision to try a risky fake punt/pass which resulting in an interception that set up the Seahawks’ first touchdown. “We aren’t going to live in our fears. We’re going to live in our hopes” was his classic response. Unfortunately over the next three quarters, Steeler Nation saw all their worst fears come to life. And in the end we watched the Seattle Seahawks defeat the Pittsburgh Steelers in a wild 39-30 shootout. 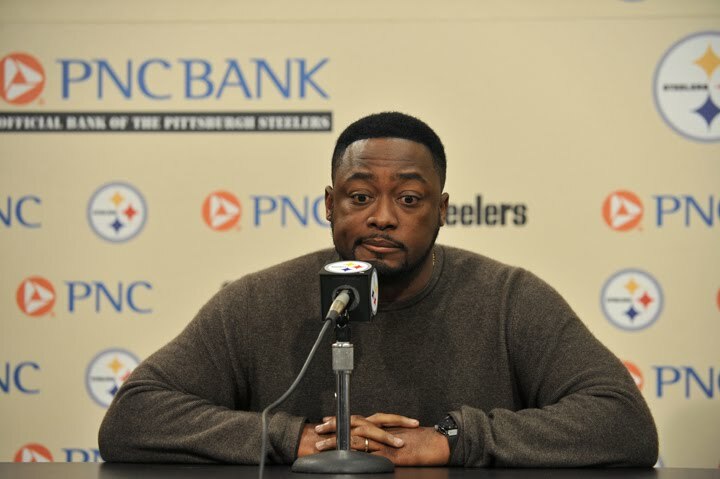 Yesterday, Pittsburgh Steelers head coach Mike Tomlin held his first weekly press conference. 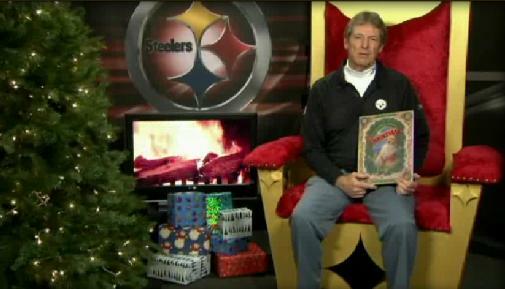 If you’re new to TotesStillers, let me explain that I have an almost masochistic desire to watch these things. It gives me some perverse joy to listen to his half-truths, non-answers, and (especially after a loss or two) the seething contempt Coach T has for being questioned by the sycophantic Pittsburgh Media. Which is my other joy; listening to what passes as “reporters” in this town lob softball after softball at him because heaven forbid anybody ever criticize the mighty Steelers. Week 1 Recap: What’s The Frequency, Belichick ? 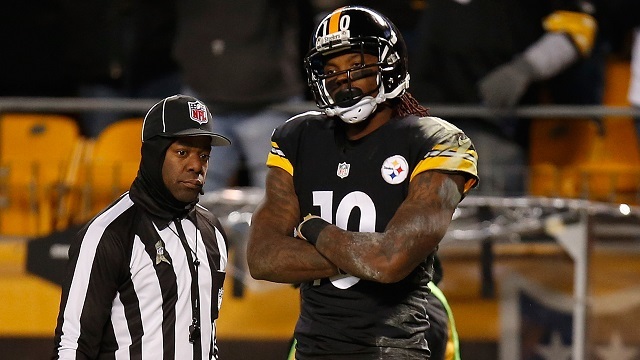 Posted by Chris at 10:37 am	Circle of Hate, DeAngelo Williams, Recaps, Todd Haley, Wide Receivers Comments Off on Week 1 Recap: What’s The Frequency, Belichick ? The Pittsburgh Steelers lost their season opener to the New England Patriots 28-21. I’d like to say something like “the score really wasn’t that close” but the truth is it really was that close. The Steelers didn’t play badly at all – in fact, even their much maligned defense didn’t play all that terribly. They got absolutely abused by Rob Gronkowski (5 catches, 94 yards, 3 TDs) although in all fairness Gronk is a freak of nature that can and will wreck even the best of secondaries given the chance. I’m sure the Pittsburgh Steelers have a plan – I just have no idea what it is. On the second day of the 2015 NFL Draft, the Steelers selected cornerback Senquez Golson and wide receiver Sammie Coates in rounds 2 and 3. Neither player is quite what I expected. They needed a corner. I know it, you know it, they know it. I’m just not sure they needed *this* corner. Pittsburgh West meet Pittsburgh South. Back in 2007 the Arizona Cardinals hired then Pittsburgh Steelers offensive coordinator Ken Whisenhunt as head coach. Whiz embarked on a six year mission to import as many ex-Steeler players and coaches as he could. 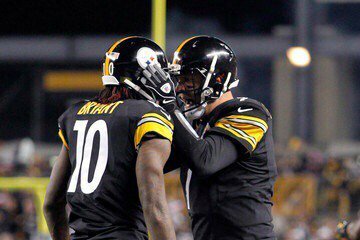 When ex-Steelers weren’t available, former Pitt Panthers would also suffice. It reached such a level of absurdity that “Pittsburgh West” became a trendy – and accurate – nickname for the Cardinals.